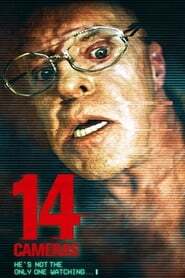 Gravitas Ventures has acquired worldwide rights to the horror-thriller 14 Cameras, directed by Scott Hussein and Seth Fuller, Bloody Disgusting exclusively learned.Written by Victor Zarcoff, the film is the highly-anticipated sequel to the critically-acclaimed horror title 13 Cameras, released by Gravitas Ventures in 2015. The film will be released in theaters and on demand nationwide on July 27th. 14 Cameras stars Neville Archambault (13 Cameras), Amber Midthunder (“Legion”), Chelsea Edmundson (Thunder Road) and Brianne Moncrief (13 Cameras) and was produced by Fuller and Hussion, with Andrew van den Houten (The Ranger), Jordan Rudman (Funeral Kings) and The McManus Bros. (writers of Netflix’s “American Vandal”) executive producing. Directed by “La Casa Muda’s” Gustavo Hernández and starring “The Orphanage’s” Belén Rueda, “No dormirás” (“You Shall Not Sleep”) continues to rack up new major territory sales for FilmSharks Intl….